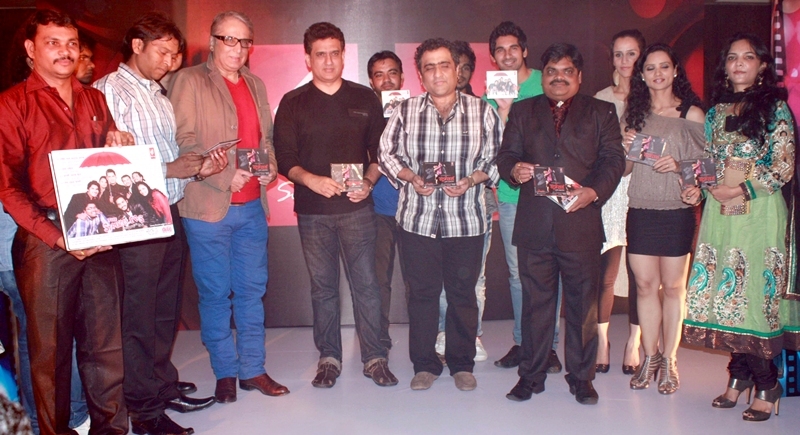 Bollywood singer Kunal Ganjawala took time out to launch the music of Marathi film “The Strugglers” which is produce by Shankar Nagre. It was first time ever the Bollywood stars come forward to be the part of Marathi film industry. The French actress Christie Bourcq gave a fabulous performance on Marathi song as she is debuting in Hindi film industry. It was dhamaal, masti and fun time for Bollywood stars like Devshi Khanduri, Poonam Pandey, Aditya Raj Kapoor, Mukesh Tyagi, Daboo Malik, Marathi actress Deepali Mandavkar and Leena Kapoor at the music release party. Javed Safi and Ashish Roy were enjoying the Kunal Ganjawala Song, Bobby Darling and Rajiv Paul have discussing his book with Akruti. Harish and Leena Kapoor were chatting with Vishwajeet Pradhan. Rashmi Pitre, Adi Irani and Shiva were enjoying the music in the party. Elated Devshi Khanduri said, “I feel very glad to be here and the music of this movie brings me to very close to Marathi culture.” Bollywood and Marathi Actor was enjoying the party till wee hours. 2 years, 400 trucks, series of disasters & your support !! Trailer of film “AASRA” released.